Ecologix lift stations include dual, auto-reversing grinder pumps with trimmed impellers, installed within a fiberglass basin. 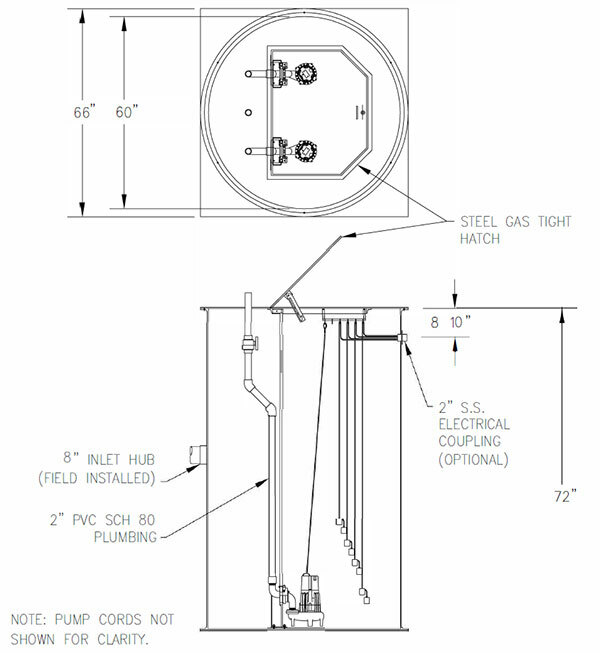 Our lift stations include all internal piping, aluminum gas tight hatch cover, mechanical floats and control panel. Polyethylene sewage pump basins are IAPMO approved. Fiberglass models available that will pass the 10′ (3 m) water stack test.